Daily Divination - Tuesday, December 25, 2018 - CHRISTMAS! 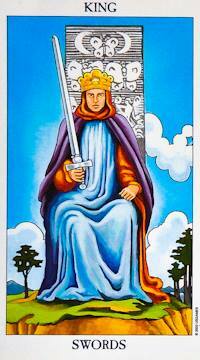 This card is about being in your personal power, in touch with your analytical side and intrinsic inner authority. If this card is speaking to your energy, then own your ability to lead with fairness and authority. Someone needs to be in charge, so this card is the green light to feel confident that you have what it takes to be a fair and good leader. Sometimes this card instead represents a powerful and serious man in your life; He is fair, he is intelligent, he is in a position of authority... but he can also come off a little cold and a little bossy. Or perhaps you are surrounded by loved ones this week, and a male figure from your family is visiting for the Holidays. Whatever the case, its okay to allow this authoritative figure to be themselves and act with authority. In fact, sometimes it's nice to let someone else run the show for a time. If this is the case for you, don’t feel slighted or intimidated, instead, step back and enjoy the freedom to be in a less demanding position, at least for the moment. All is well in your world. *This week’s deck is the Radiant Rider Waite Tarot (affiliate link).